The Beautiful Tent Company are renowned for supplying exquisite marquee hire in Devon, Somerset and Cornwall, particularly for weddings and private functions. But did you know that we also cater for corporate events for your business or enterprise? 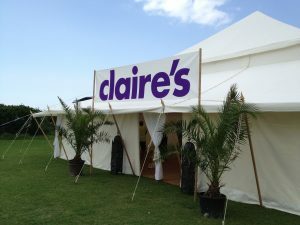 Take a look at how our beautiful, luxury marquees can help you achieve the best business opportunities for your brand. For businessmen and women who regularly attend corporate events in the South West, they know all too well of the traditional conference which is held in either a hotel or hall. Here at The Beautiful Tent Company, we make sure our events aren’t monotonous and, instead, are ones to remember! Why not consider hosting your next corporate day in one of our stunning marquees? Not only will it provide an eye-opening alternative to your event location, but it will be the most memorable day, and most talked about event of the year – that’s the whole point of marketing and branding your company, right? When you are holding your business or corporate event, you want your guests to feel welcomed and relaxed, ready for a day of informative industry insights. Luckily, both our India package and Savannah package incorporate both space and style so, even before your day starts, your attendees will be highly impressed with your presentation! Our tents are able to hold a large number of people, as well as having the space for your stage, lighting and sound equipment. And if you haven’t already thought about it, The Beautiful Tent Company are able to supply you with the flooring, outdoor heating systems and lighting equipment, plus so much more, with our optional extras. Being able to have the freedom to arrange your day without any restrictions, with your event supplies being provided by one company, will make you feel at ease throughout your day. 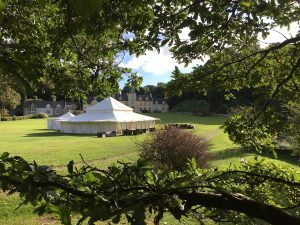 At The Beautiful Tent Company, we are here to ensure your corporate marquee hire in Devon and the South West go above and beyond your expectations. Not only will we work closely with you to make your business come to life, but we will also even keep a check on the weather so that any last-minute preparations can be made. Contact one of our team members today for more information and who will be happy to cater for your bespoke requirements.